The country is going through the shakedown street time of national politics. Right now, it’s all about shaking down the street of big money donors and the “political influencers”, not about the electorate or governance. You think you’ve seen this town clear through. Nothin’ here that could int’rest you. Well, well, well, you can never tell. It’s not because you missed out on the thing that we had to start. Nothin’ shakin’ on Shakedown Street. Used to be the heart of town. Don’t tell me this town ain’t got no heart. You just gotta poke around. Since I’m passing your way today. Well, well, well, you can never tell. I just stopped in ’cause I want to say, Well, well, well, you can never tell. Let’s be honest. There are 571 days from today until the next national election on November 8.2016. Does it really matter to you, the voting public, what happens now to attract your vote? Unfortunately, it doesn’t, but it should. It matters because this is the shakedown street period where the Presidential candidates are vying to get the support, which means campaign financing, from the big-money donors, political groups and special interest organizations. 1. a high paying talking head job on the Fake News Network or some other right-wing nut job “news media” organization. 2. a high paying lobbyist job for a “political advocacy” group that has AFIB, like American Favoring Intellectual B/S or Ammosexuals For Ingesting Bullets. Or they just fib a lot. 4. Or some high paying combination of 1,2 and 3. For Democrats, this means getting the financial backing of George Soros, Tom Steyer, David Geffen and the Hollywood crowd, etc. This is why the only announced Democratic presidential candidate, former Secretary of State and Senator from New York, Hillary Rodham Clinton, is rumored to have lined up over $1 billion in potential campaign contributions. It is almost certain that Ms. Clinton is not running to get a job as host of HillaryNation on MSNBC, if she does not win the Presidency this time. The gusher is officially open. Hillary Clinton’s formal entry into the 2016 presidential race is also the launch of a wildly ambitious fund raising effort. Clinton aides have promised an “insane” push to wring money from donors that might be the most successful ever. By Election Day in 2016, total donations to Clinton’s campaign could approach $1 billion. 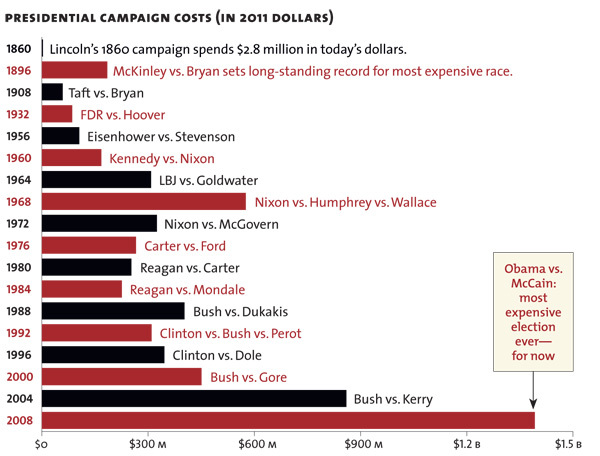 Barack Obama in 2012 raised a mere $716 million. Clinton’s most likely GOP opponent — presumed front-runner and former governor of Florida Jeb Bush — is the early favorite among corporate billionaires who long for a Republican in the White House. But Clinton is a formidable fund raiser herself. She raised $329 million during eight years in the Senate and another $229 million running for president in 2008. As a senator from New York, she became intimately familiar with Wall Street’s movers and shakers. And as Secretary of State, she made connections with global business interests. 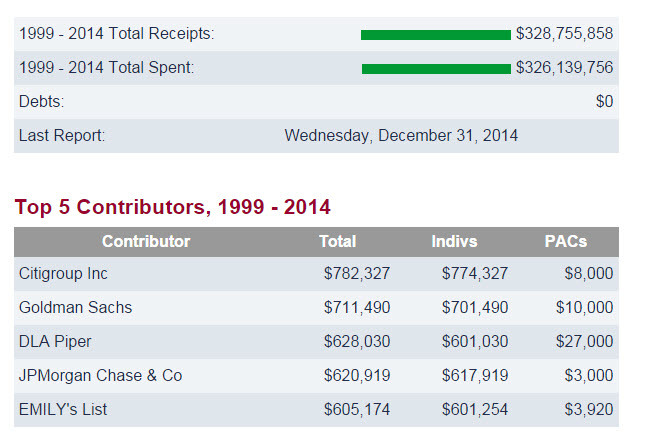 Robert Mercer was one of the biggest campaign contributors in the 2014 elections. I am a political junkie and know a fair amount about national politics, but I knew about the political financing activities of only 5 of the 10 men (take note of this my female political junkie friends, no females on this list) whose money can influence the selection of Presidential candidates and the decisions made if their candidate become President. Until recently, because of his backing of Texas Senator Rafael “Ted” Cruz, Jr. for President, I didn’t know much about the political financing activities of Robert Mercer. Now the two — Senator Ted Cruz, Republican of Texas, and Robert Mercer, a Wall Street hedge-fund magnate — share another bond that could link them through November 2016: Both want to see Mr. Cruz elected president. Mr. Mercer, a reclusive Long Islander who started at I.B.M. and made his fortune using computer patterns to outsmart the stock market, emerged this week as a key early bankroller of Mr. Cruz’s surprisingly fast campaign start. He is believed to be the main donor behind a network of four “super PACs” supporting Mr. Cruz that reported raising $31 million just a few weeks into his campaign. The emergence of rich and relatively low-profile donors like Mr. Mercer could single-handedly jump-start a presidential campaign, said Trevor Potter, a campaign finance lawyer who served as a Republican member of the Federal Election Commission. “It just takes a random billionaire to change a race and maybe change the country,” Mr. Potter said. “That’s what’s so radically different now.”“…. Mr. Mercer does not have the name recognition of fellow Republican financiers like the Koch brothers or Sheldon Adelson, but he has spent more than $15 million since 2012 in support of conservative political campaigns and causes, donating to a number of candidates who had never even met him. Both moderate Republican candidates and Democrats in states like Iowa, New York and Oregon have found themselves in the cross hairs of expensive attack ads that he financed. That is just what we need more of in this country, greed head derivative traders picking presidential and senatorial candidates. Ted Cruz somehow manages to find the one financial trading weasel who made his fortune during the Great Recession. We have recently seen the effect of the naked raw power on the governance process big money backers can have. Right now, there is a huge battle over the financial and political control of the United States in the post-Citizens United era. The House of Representatives has passed and the Senate is deliberating on the omnibus legislation to keep the U.S. government from shutting down again. The federal spending bill is called Cromnibus because it is crammed with all kinds of legislation and rules that benefit wealthy and powerful special interests. Senator John McCain has slipped into it legislation that would allow copper mining on Indian reservation lands in Arizona, which appears to be a smokescreen for furthering Koch Industries’ copper mining interests. 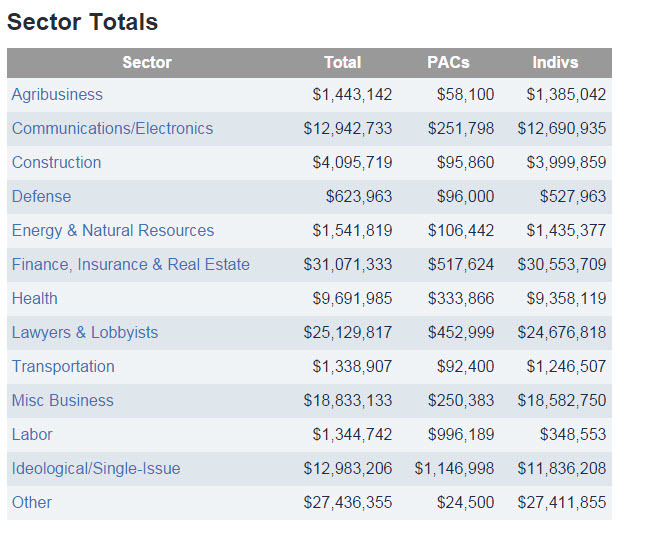 No one seems to know how legislation was inserted to allow corporate and the 1%’s campaign spending to increase 10-fold . This legislation proposes that up to $330,000 in contributions can be made to every political organization. So what other candidates and causes have Mr. Mercer backed previously? The picture gets even uglier. Mercer backed three of the biggest chuckle heads in the current Senate: Joni Ernst of Iowa, Cory Gardner of Colorado and Thom Tillis of North Carolina. Big donations included a $2.5 million check to Kochs’ Freedom Partners Action Fund—more than what the Koch bothers themselves gave to it—a “super” political action committee that spent $24 million to support Republicans including winners Joni Ernst in Iowa and Cory Gardner in Colorado. Super PACs were made possible by the Supreme Court’s 2010 decision in Citizens United, which allows them to accept unlimited contributions from corporations and individuals as long as they don’t coordinate directly with a campaign. Mercer’s family foundation, technically run by his daughter Rebekah, has also supported a slew of conservative causes. 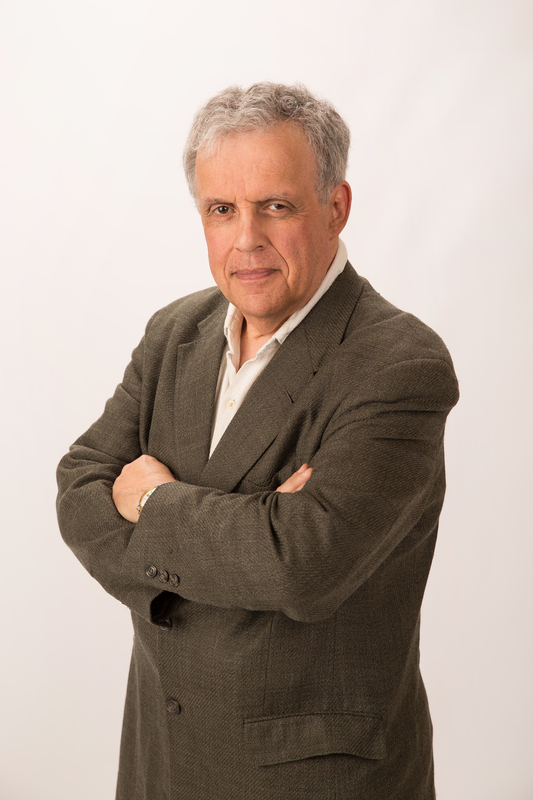 Donations in 2012 included the Media Research Center, which tracks perceived liberal bias in the media; the Oregon Institute of Science and Medicine, which denies man-made climate change; and the Heartland Institute, which promotes “free-market solutions to social and economic problems”. There already have been two “candidate auditions” by the Republican big money campaign financiers by the Koch Brothers and Sheldon Adelson. There will be more. There will have to be for the big money types to coalesce around one candidate. It will be more difficult for them than it was in 2008 to coalesce around one of their own, Willard Romney. 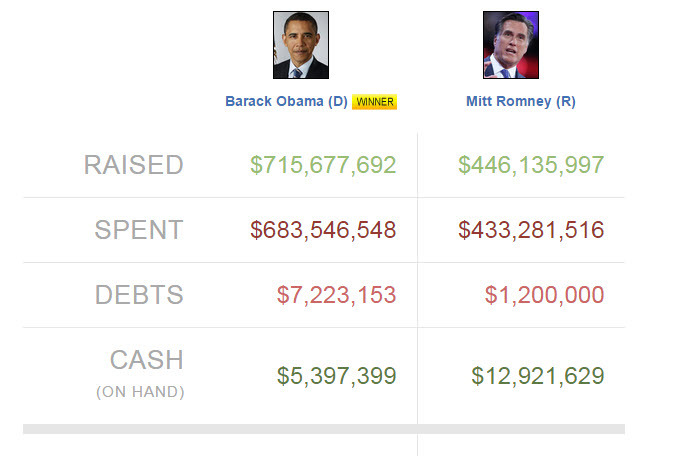 $1.1+ Billion was spent by the Obama and Romney campaigns in 2012 on the Presidential election, according to our friends at OpenSecrets.org. 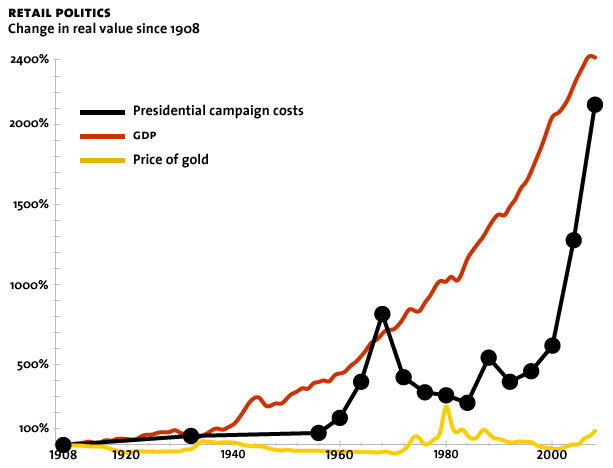 The pace of Presidential campaign spending has accelerated from 1950 on. The introduction of “lone wolf” big money campaign contributors, like Robert Mercer, in Republican AND Democratic politics is another nail in the coffin of democracy in the United States. The country is already struggling with the anti-government/seditious elements spawned by the Koch Brothers American Legislative Exchange Council (ALEC) throughout federal, state and local governments. It would take someone extremely naive or comatose to believe that the infusion of all this money into Presidential campaigns does not come with a pro quid pro element to it. With Robert Mercer and the other GOP big money contributors, the Shakedown Street is all about getting rid of all federal government regulations on the financial industry, environmental controls (Koch Brothers), Internet gambling (Sheldon Adelson), and other big business/ anti- 99% best interests. This is oligarchy unfettered. Hillary Rodham Clinton is not unfamiliar to this Shakedown Street process. After all, she was elected Senator of New York and has been a presidential candidate. It has been a major concern of many, including me, about the depth of her ties to Wall Street types, who certainly are masters of the political shakedown. Unless there is a white knight (male or female) who enters the race and saves the day (Hint: Senator Elizabeth Warren), Hillary Clinton may be democracy’s last best hope. Maybe somethin’ big is shakin’ on shakeown street. Copyright © February 2015, Michael A. Maynard, Stow, Massachusetts. Please feel free to leave comments below. Also, if you’ve found this article interesting and informative, please pass it along to others, even the politically cra-cra ones. For more of my articles, visit my WordPress site: mmaynard119.wordpress.com. OMG this is exactly what it is!